When you ship an application to production, one of the key factors of quality is the monitoring capabilities of this application. In this post, we will see what options are available for your JHipster applications, and we will dive down into using Datadog. Observability is the ability to understand what an application is doing, and how well it is performing. tracing: the measure of how much time each component took to perform an action. We will see in this post if we can achieve these 3 principles of observability with a JHipster application. 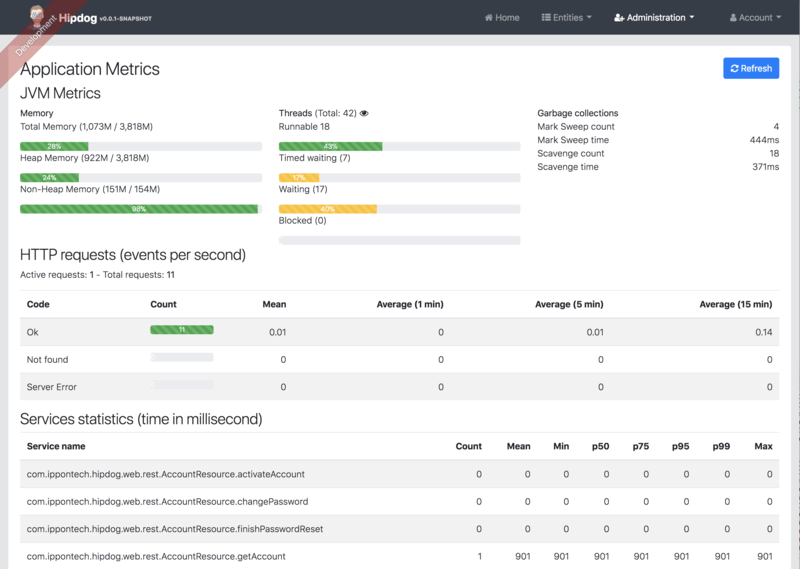 Out of the box, JHipster provides you with a page to display the metrics of your application. We also get the logs of our application on the console, and we can redirect them to a file by changing the configuration. Log levels can also be adusted on the file to get more or less details. centralized and aggregated storage: if your app is distributed (multiple instances or multiple microservices), finding important imformation will be difficult. JHipster offers a console as a separate product. It provides a dashboard to visualize your metrics. 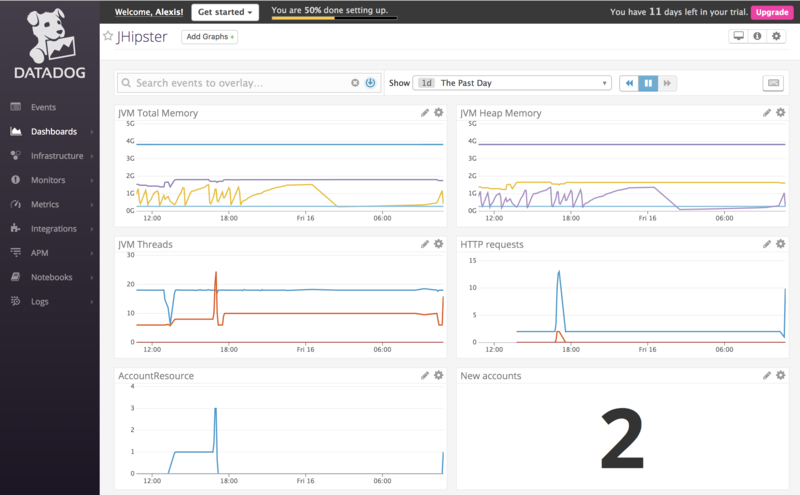 Since JHipster Console is based on Elasticsearch and Kibana, logs and metrics are archived and searchable. Integration with Zipkin is also possible to get distributed tracing of your application. 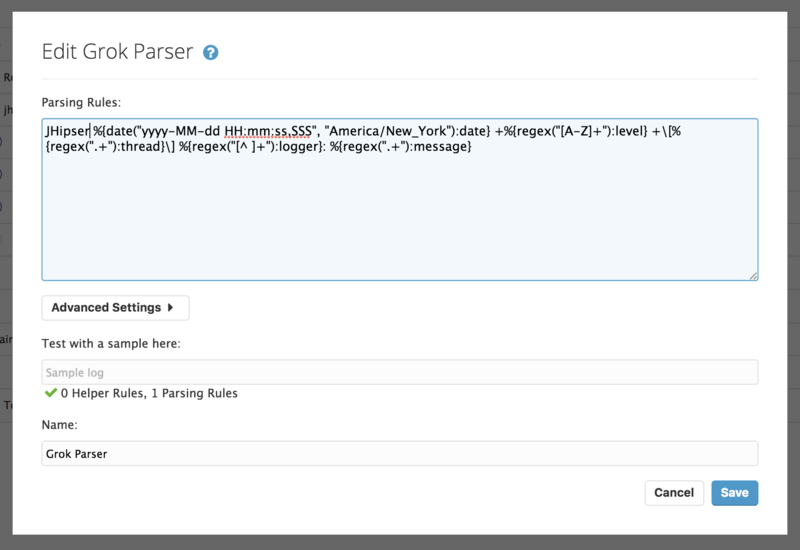 See JHipster's monitoring documentation page for more information. Now, if you already use Datadog, you probably want to send your metrics/logs/tracing to this service. 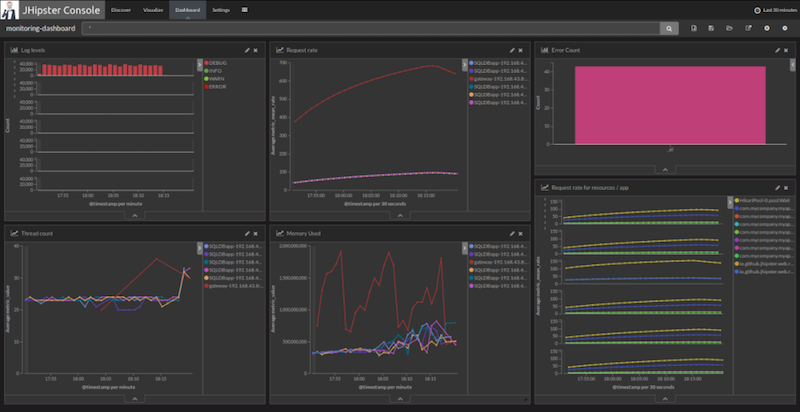 If you don't know Datadog, it is a monitoring solution as a service. They provide an agent to install on your machine/server/EC2 instance, and the agent will ship metrics and logs to Datadog's servers. They then offer a UI to dig into your data. I am not going to go through the features provided by Datadog, but instead show how to configure your JHipster application to send its monitoring information. Let's start with the metrics. A JHipster application uses Dropwizard Metrics to collect and ship metrics to another system. In this case, we want to ship the metrics to Datadog. 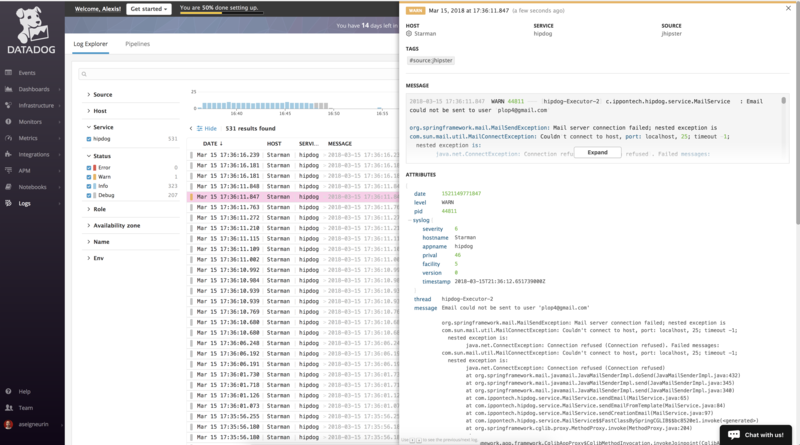 Let's start by adding Metrics Datadog Reporter to our build. You will then need to retrieve your API key. Once you have that key, you will most likely want to put it the application.yml file and inject its value as a property of the MetricsConfiguration bean. The next step is to send our logs to Datadog. Datadog recently acquired Logmatic, and the product is now integrated in the service. have the agent listen for TCP or UDP connections, and have your app send its logs straight to the agent. We're going to use files. It is - in my opinion - easier to inspect and debug. Logs will still be written to the console, but also written to files in the logs directory. Notice that, at this point, we've only shipped the logs. They're not parsed yet, meaning the timestamps may be a little off (they correspond to when the agent read the lines), and the level will always be INFO. 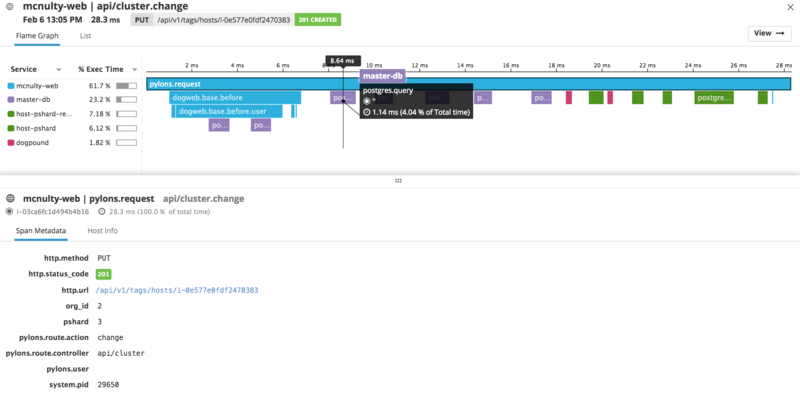 Make sure you specify the correct time zone (or, better, configure Logback to output logs with a timezone indication), otherwise your timestamps will be shifted by a few hours and be rejected by Datadog (the ingestion process will not consider logs that are more than 5 hours old or 2 hours in the future). a Log Date Remapper, to use the timestamp we parsed rather than the agent's timestamps. You will also be able to search / drill down into your logs. Unfortunately, so far, I haven't been able to get this to work. I will update this post as soon as I have found the issue. If we ignore the fact that I wasn't able to enable the APM functionality, Datadog allows us to achieve the 3 ways of Observability for our JHipster application. This is very easy to configure and provides a very easy-to-use UI. If we had had microservices, we would even had been able to provide an aggregated view of the health of our platform!